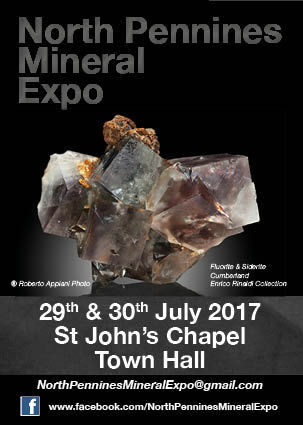 Following the recent resurgence of interest in specimen mining in Weardale a new event, the North Pennines Mineral Expo, has been organised for the weekend of 29th and 30th July 2017 in the heart of the Dale at St John’s Chapel, County Durham. Entry is free and The Russell Society will have a stall there. 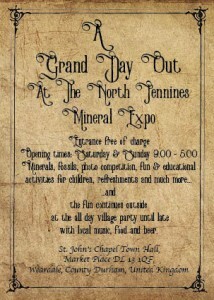 Please try and get along to the Expo, it promises to be a fun day out and a good opportunity to meet people.